It's October again. And regular as clockwork, the Harvest moon rises, the fall colors turn, the Yankees lose in the playoffs, and the home theater industry sees an all-new clash of the LCD titans, Panasonic and Sanyo. This year the head-to-head rivalry is between the Panasonic PT-AX100U and the Sanyo PLV-Z5, both of which are native 1280x720 resolution LCD home theater projectors selling for under $2,000. I have no idea who will win the World Series, but when it comes to home theater projectors, we have no shortage of prognostications. Panasonic has made a huge splash with the AX100U, primarily on the strength of a large increase in potential lumen output over its predecessor, the PT-AE900. The AX100U is rated at 2000 ANSI lumens, while the AE900 was rated at 1100 AL. The AX100 is designed to operate either in a dark room theater environment or in moderate ambient light, as the user's situation dictates. Since many people don't have the ability or desire to view movies and/or sports and other HDTV programming in a dark room, the AX100's wide range of variable light output provides viewing flexibility that most other home theater projectors do not. In this regard, the AX100 is a dramatic step forward beyond last year's AE900. Pixelation. The AX100U has Panasonic's proprietary "SmoothScreen Technology" which eliminates visible pixel structure, even when examining the screen from just a few inches. In comparison, when examining the Z5 image close up, you can see distinct pixel structure. On LCD projectors in general this is not as pronounced as it used to be due to the reduction of the interpixel gaps, but it is still there. Digital noise. An artifact common to digital projectors is noise. This manifests itself as a shimmering instability in certain elements in a video image, and it can impart a subtle graininess to the image overall. The presence of noise, even when you cannot see it as a discrete artifact, can reduce the apparent sharpness of the image. The Z5 has the lowest noise level of any projector we've ever seen in this price range. In side by side viewing with the AX100U, the Z5's lack of noise becomes a significant attribute. Contrast. On paper, the Z5 is rated at 10,000:1 contrast, and the AX100U is rated at 6000:1. And in side by side comparison, the Z5 is indeed visibly higher in contrast. Black levels were about the same, but the Z5 rendered greater tonal range and more brilliant highlights. This gives the Z5's image a slightly better depth, or sense of three-dimensionality. The difference is not dramatic, but it is certainly visible to anyone looking at them side by side. The big advantage of the Panasonic PT-AX100U over the Sanyo PLV-Z5 is its much higher lumen output potential. You can bump it up to 1400 ANSI lumens or more for a bright image in moderate ambient light for a SuperBowl party. You can set it to Vivid Cinema and get over 800 ANSI lumens, which is enough to successfully fill a very large screen, say 150" diagonal or more, in a dark viewing space. In ambient light, the contrast advantage of the Z5 over the AX100U becomes irrelevant. If you are planning to do a lot of viewing in ambient light, the AX100U is clearly the stronger choice. On the other hand, if your objective is to obtain maximum image quality in a dark theater environment, the Sanyo PLV-Z5 is the stronger alternative. If we did not need the lumen power of the AX100U, we would definitely choose the PLV-Z5 due to its higher contrast, lower digital noise level, and sharper image. Additional attractions are its lower price and three year warranty coverage-the AX100U comes standard with a one year warranty. Either way, these are two outstanding home theater projectors that represent the best of a long line of widescreen LCD products from Panasonic and Sanyo. Both of them are impressive in their own rights and we enthusiastically recommend either one depending upon your anticipated viewing needs. I found the Sanyo PLV-Z5 for $1,350 and the Panasonic PT-AX100U for $1,699. The Panasonic is $349 more than the Sanyo. I was wondering if someone has had some experience with both projectors and is willing to share their opinion as to wether the panasonic is worth the extra $349; considering the Projector Central Shoot-out review from October 2006, on both of these projectors. After doing all this, I'm still perplexed. The main difference between the two deals with the Lumens. The Panasonic is brighter, thus can be used in rooms with more ambient light. The Sanyo, however, is better in dark rooms, like those dedicated to a home theater. Another big different is the 1080p/24fps support of the Panasonic. 1080P/24 is the standard for HD-DVD and Blu-Ray. Those that don't support this framerate do a conversion which could result in stuttering scenes, especially during panning sequences. THe Sanyo does not state is supports that combination, thus I'm really perplexed. My Theater is a dedicated theater, no windows, pitch black. Everything points to getting the Sanyo, however, that 1080P/24 compatibility keeps me from pulling the trigger. Sanyo is offering a $200 Mail in Rebate for purchases up to 1/31/07. Evan Powell where are you, help !!!!!!! FYI...I called the folks at Broadway Photos. They indicated that the $1350 Projector you found at Broadway Photo is the PT-AX100E vs. the PT-AX100U. It is the same projector; however the "E" is made for Europe and it DOES NOT come with a LAMP and the 1-yr warranty is good only overseas; therefore, if something went wrong with the projector, one would have to send it overseas for repair/replacement. Once one adds the lamp, the projector's total price comes to $1549. Additionally, the PT-AX100E does not carry the current PANASONIC $200 rebate as the PT-AX100U. In terms of the 1080p/24, I am not too concern about that, since I do not foresee playing full HD video on either projectors (PT-AX100U or PLV-Z5). For that, I would be investing on a full HD projector; however, those are still in the $3899-5000 range. And considering the trade off in picture quality and availability of the full HD media, at this time I do not believe it would be cost cost effective to jump on the 1080p ride--just yet. Just learned, that Bway is total scam, stay away completely. A few other posters gave the tip, thank goodness, whew, didn't fall down that hole. So just stay away from them !!!!!! I'm starting to lean towards the Panasonic and away from the Sanyo. Both appear to be great projectors, both from good companies and although the Sanyo might be better for me in my theater, looking down the road a bit, I know better units will continue to be released, and if I upgrade, I will push my current projector to side duty, and the Panasonic just seems to give me much more flexibility than the Sanyo at that point. So, in line with your thoughts, think about the next unit you buy, and then what are you going to do with your older one, I think you'll agree with that logic. I didn't know Panasonic had a Mail In Rebate, do you have a link for that? I had ordered the PTAX100 last night at the $1350 price from Broadway unaware of it being the Europe version. I have to go against the the claim of a "scam" here however. Broadway called me this morning (before putting my order thru) to let me know this was indeed a Europe version and did I still want to order it. (No scam intent there). It DOES come with a bulb, and is the exact same projector only all the menus etc are in Japanese. : ) They offered me a great deal on the US version on the phone for $1539. Which is about $400 cheaper than any place else. So I went with it. This will be my third projector ( I started with the very first InFocus ScreenPLay 4800 3 years ago. And it still works great! Just ready for the new resolution etc. Am very anxious to try out this new Panny. I actually got both (PT-AX100U and PLV-Z5) and after tyring them both (return policy is 5 hours of less on lamp) my personal opinion is that the PANASONIC is the winner (overall). The Sanyo seemed sharper in a very dark room; however, one pays a price for that on the pixilation and it is not good for rooms with moderate ambient lighting. I got my PANASONIC PT-AX100U for $1899 (I am not counting the $200 Rebate). 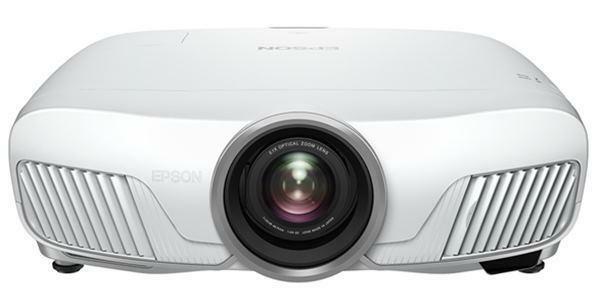 However, I am willing to return it to get the one from Broadway if Broadway offere you the US version (PT-AX100U) for $1539 (yor total upfront cost for projector) NOT INCLUDING the $200 rebate that PANASONIC offers. It so, the end cost would be a lot less...some $1339 and that would be a savings of $360.00 ($1899-200 (rebate)=$1699) - ($1539-$200 (rebate)=$1339). Please let me know soonest! Not good reviews for Bway. Off topic, but on the topic we're drifting in to, I just narrowly avoided being caught by a similar (yes, I will use the word) SCAM by BestPriceCameras. The are advertising the Infocus IN72 for the amazing price of $389. Totally by accident, I found out that the units are shipped with a bulb that will only last 25 hours. Since the replacement 3000 hour bulb is $400, it turns into a crappy deal indeed. Here is the URL for the IN72 at BestPriceCameras. Although it may be different content by the time you look, it mentions nothing about the bulb issue. The bulb life also seems to be missing from the specs...probably just an oversight. This is great info on this board. Thanks! I'm leaning toward the PT-AX100U, but I've noticed most of the sites that list it don't even specify whether it's "U" or "E". They just say PT-AX100. BestPriceCameras has it for $1319 now. Does that mean they put a 25 hour bulb in there? Evan Powell where are you, help !!!!!!!" I went with the Sanyo, the final deciding points were clarity and the Sanyo's better performance in dark rooms. The Panny is good if you have more ambient light to deal with, but I don't. I jumped over to NewEgg, www.newegg.com, and they are still the best ever. Anyway, I picked up a 25' DVI to HDMI (male) adapter. My projector is at the back of the room, electronics at front. My PC is running WinXP SP2 and a GeForce 7800 GT Vid Card. What impressed me is that Windows recognized the PLV-Z5, by name nonetheless, and automatically set screen resolution to 1280x720P. Absolutely perfect. How many times does this stuff actually work out of the box, like never, but sometimes you just get lucky. If it hasn't been posted here yet...Panasonic HAS a new rebate offer if that Block Buster thing is not for you. You have your choice of rebates for the PT-AX100-U if purchased from ANY US source as long as it is a new model and not a "B" rated one (which I think is refurbished to them). Anyway, the link below is to Panasonic.com to their rebate choices for this model. $400.00 CASH off or you can take the $200 with the $300.00 Blockbuster thingy which I think is a waste of time. I'd rather have the $200 in my hot little pocket to put toward my screen! I am considering buying it through VisualApex.com for $1899.00 (then minus the rebate) but they also give out an additional 1 year GE warranty worth a bit over $100.00. I don't know if that is really worth it; however, free is free. Maybe I should scour the net for better prices first? When I first found the rebate on visualapex.com, I was skeptical because I had not heard of the $400 cash back yet. I called Panasonic Rebate division at their toll free number on the claim form (PDF online ... see link below) and they were not aware of the rebate offer yet; however, they did say that they are a 3rd party company and don't always get notice of the warrantys right away). I then called Panasonic direct and he walked me through their site to find the actual rebate there. It is valid but only from Feb1 till the 28th purchases! Go Gettum Fellers! "Just learned, that Bway is total scam, stay away completely." For example, here's what they said about the above-mentioned dealer: "Complaints to the Bureau indicate that this firm uses high pressures sales tactics after consumers place their orders. After ordering merchandise consumers report receiving a phone call from the firm’s customer representatives attempting to sell additional items. Representatives allegedly try to persuade consumers to buy the U.S. warranty, as well as accessories like cables, peripherals, and software, or lead consumers to believe the product will not work if additional merchandise is not purchased. In some cases, if the consumers declined, an email was sent advising them to cancel their orders because the item was on back-order despite being listed as available on the firm’s website. Consumers also reported unauthorized charges on their invoices. When trying to dispute such charges, consumers report difficulty talking to management, claiming they are verbally abused by the company’s staff." Well, thought I would give some quick feedback on my experiences with the Sanyo now that I owned it for a while. The short answer, I'm very pleased and impressed with the Sanyo. It's doing everything I hoped for and more. The picture really jumps off the screen, and I went with an Elite Screen 92" 16x9 screen, a bit pricey but after spending that cash on a projector why skimp on the screen. Right now I have a HTPC as well as DirecTV HD powering the projector. HTPC has a DVI to HDMI cable, 25' long, and the picture is perfect. The DirecTV HD has a HDMI to HDMI cable, same distance, works great. I also connected a cheapo DVD player with Component out, works great. The Sanyo has plenty connectors on the back, which eliminates the need for a switcher box, which is great. Audio is being sent via optical from DirecTV HD to the HTPC, I have an Audigy 4 platinum 7.1 sound card, which works awesome by the way, that also has optical in/out ports. I purchased Creative S750 speaker system, 7.1 with 700watts of power, http://www.newegg.com/Product/Product.aspx?Item=N82E16836116142 , and it upconverts 5.1 and 6.1 to 7.1, awesome deal. So, I would recommend the Sanyo highly, if, and a big IF, you theater can be perfect dark with very little ambient light. The colors, contrast, clarity are all top notch. I've had the Z5 for about a year and a half now. I honestly dont think I could be any happier. I've got my PS3 going HDMI to the Z5 and 5.1 audio through the PS3's optical out and my little theater setup blows people away. Actually since visiting my theater, FOUR of my friends have either gotten projector setups or are in the process - my Z5 has made me quite the trendsetter. One thing should be noted. When the PS3 is sending a 1080p signal to a 720p unit (like the Z5), it actually scales the signal down to 480p - or so it says in the menu when you look at the current signal being recieved while a blu-ray is playing. However, the picture is visibly richer AND sharper to the naked eye despite the "scale down". I found this strange but im not making a stink since the picture really does look better than standard DVD. I picked up a bargain screen - $200 from circuit city - 100" diagonal - and playing games like Call of Duty 4, Assassin's Creed or any other well rendered game is extremely immersive. Just a blast. I would HIGHLY recommend this projector to anyone.... ANYONE. If youre the kind that doesnt see much difference between 720 and 1080 signals, this would be your cheaper alternative for a great, no, EXCELLENT theater/gaming experience..